Email Marketing should be an essential element of your Digital Strategy. With the advances in technology and subsequent growth of social media, search engine optimisation and mobile marketing you could be forgiven for thinking that ‘old fashioned’ methods of marketing such as email marketing have become more and more redundant, right? Well think again!!! 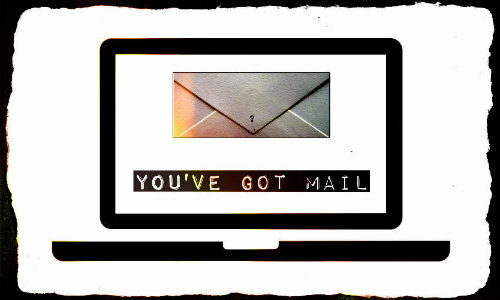 Email marketing in particular, still has the potential to offer your business one of the highest returns on investment. It is also easy to manage, implement and control whilst offering you direct contact with your customers. • There are a number of email marketing platforms such as ‘Mailchimp’ or ‘Constant Contact’ that will facilitate you being able to run a professional looking campaign by allowing you to manage your email lists and contacts details. They also offer email templates, built-in social media sharing tools, access to easy tracking and reporting as well as storage for your files and campaigns. Mailchimp in particular offers a forever free plan which allows you to send up to 12,000 emails. • Email marketing makes it easier to customize your message for each customer giving you a higher conversion rate. It lets you control exactly who gets an email by segmenting your contact list based on categories like lead status, demographics, location or any other data. Targeting emails ensures that your audience receives content suited specifically to their needs. • Every time you send a targeted email, recipients are exposed to your business, your message and your brand. By combining strategic planning, imaginative design and targeted content, you can consistently build value and stay ‘top of mind’ with your customer. This offers you a greater opportunity to turn leads into actual clients. • This is something that the social media companies have jumped on too. Getting somebody to share (or like) your message or offer. Anybody can forward and email and it is such an easy way share deals, offers and news with friends and gives your brand even greater exposure and advocacy. • The whole digital world has gone ‘analytics’ mad and they are a very important way to measure the successes of your campaign. However, they can be complicated to read and set up whereas email marketing is very easy to monitor in terms of metrics such as delivery rates, open rates, click-to-deliver rates and subscriber retention rates. This also offers you the chance to learn more about your customers behaviours and interests so you can then refine or segment any future campaigns accordingly. • One of email marketing’s biggest appeals is it’s return on investment. There are no print costs, no postage fees, no advertising rates. If you have a list then you can afford it!!! According to the Direct Marketing Association, email marketing brings in $40 for every $1 spend, outperforming search, display and social marketing. With all of this in mind here are a few simple tips to ensure that any campaign you do is successful. • If you have a list of people who love one type of service or product that you offer and another group that couldn’t care less, strategize accordingly. • Send your emails from the same from address every time and call your customer by their name in emails where possible. The more personalised the message can be the easier it is to build trust which will in turn give you a better chance of your emails being opened and read. • The ‘subject line’ on your email can be the deciding factor in whether customers open your email or delete it. Don’t go for flashy attention seeking words or phrases such as “make money at home” and “earn extra cash!”. Try have a ‘subject line’ that will be interesting and honest at the same time. • Don’t overload your layout with flashy graphics, big fonts or other in-your-face items. Also keep copy to a minimum by using short paragraphs and clear language. Remember you only have a short time span to catch your customers attention and they will respond better to ‘clean, simple and professional’. • There’s no point otherwise!!! A call to action can ask the customer to do things like click on a link or fill out a survey or even to make a purchase. Whatever message you want to get across just make sure you have a call to action in any email you send. Finally, the last thing to do is to include yourself on any email campaign list. Whilst the email marketing platform you are using will allow you to do tests in advance of any actual launch it is still a good idea to send an email to yourself and go through any process or steps as requested by the call to action. It’s a ‘belts and braces’ approach to ensuring that all links and destinations in the email are working. If you can keep these things in mind when you create and send an email campaign at the very least you will increase the chances of the campaign being a success in terms of ‘open rates’, ‘click rates’ and return on investment.